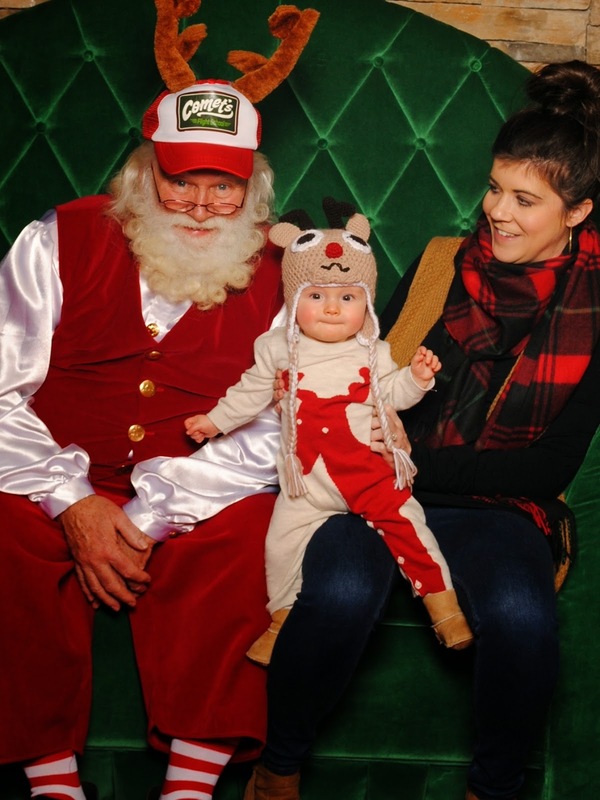 Yesterday we took Campbell to the mall to visit Santa Claus. Obviously he isn't even aware of who or what that is at this point but we, of course, had to get a photo of Campbell and Santa together! 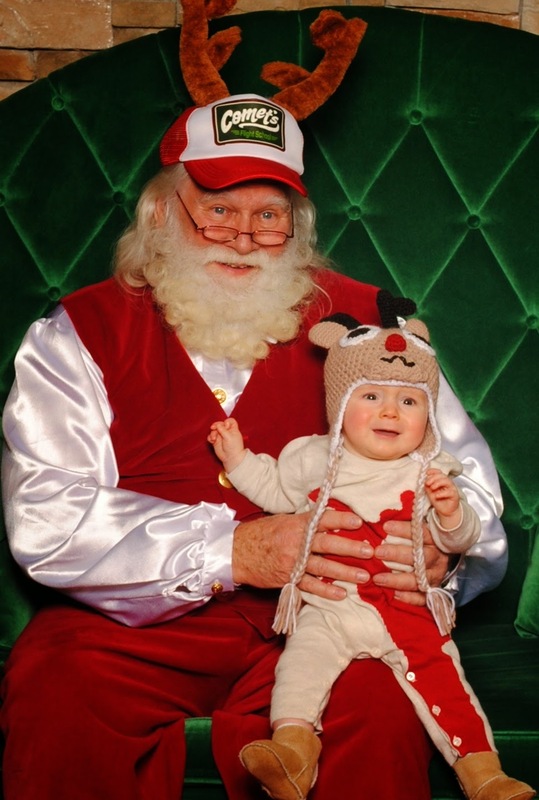 We got Campbell all decked out in his Santa visit best and made the journey to the mall. We went during the week because I was warned the lines on the weekend were crazy long. Thankfully there were only two other people in front of us so we quickly made our way onto Santa's lap! 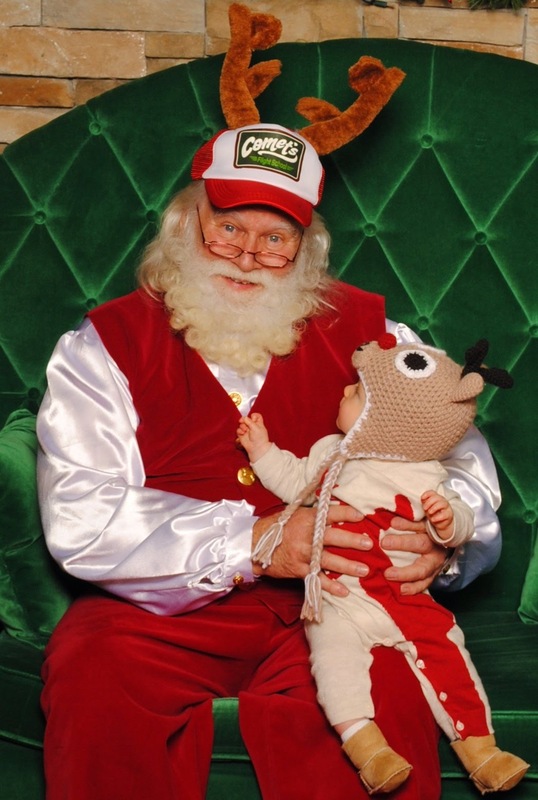 Santa instructed me to come and sit by him for a minute then once Campbell got used to him I needed to gently slide him onto his left knee. So that's what I did. And then Campbell was like.....wait, who's holding me? And then he was like.....Mom, I'm pretty sure I don't like this. And then he was like....no for real Mom!!!!!!!!!! I don't like Santa!!!!!!!! 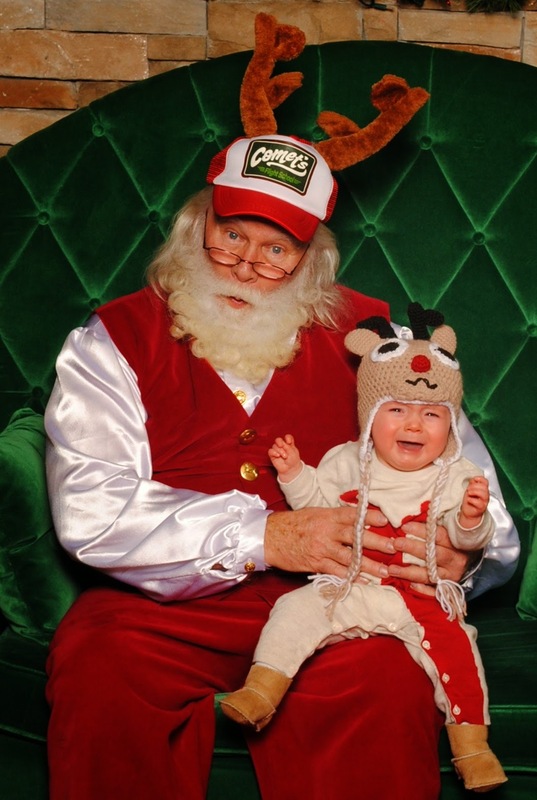 Scott and I laughed our heads off, rescued our child from the scary Santa, then all was good in Campbell's world again.